The stunning Milano Java radiator is a stylish and efficient heating solution for use in various rooms around the home. 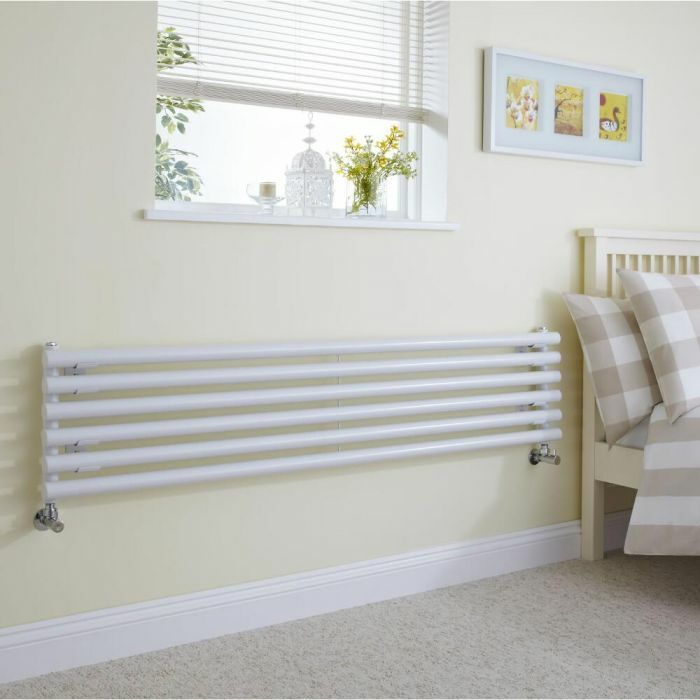 This radiator has a tubular design which is attractive and contemporary, and is finished with a white powder coat which is subtle but stylish, making it a versatile choice that will suit a range of decors. This powder coat finish also helps protect the radiator from damage. Matching brackets are supplied with this radiator. This 354mm x 1600mm model has an impressive heat output of 4012 BTUs per hour, which will heat your home to the perfect temperature in very little time. It will create a relaxing and pleasant atmosphere as it heats your home, which is especially pleasant during the winter months. Made from 1.5mm steel, the Java is a robust radiator that is designed to stand the test of time. Please note: valves are not supplied with this radiator. If you require valves, please visit our 'Valves and Accessories' department.